Get the bronze door hardware that makes your doors look awesome. 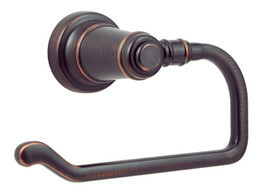 Dark bronze door hardware gives any door a refined, sophisticated appearance. Outfitting your doors with bronze door hardware is an easy way to add to the decor of any room. Dark bronze door hardware gives you a darker finish that gives the impression of age or tradition combined with the yellow metallic detailing associated with wealth and abundance. The result is beautiful fixtures that can help bring together a room’s decor. Bronze is a great choice for any room where the home owner intends to receive guests. We carry a large selection of bronze door hardware in the most popular styles. Whether you’re looking for pure functionality or something that offers a more decorative design, we have hardware that fits your needs. Most orders are in-stock and ready to ship within 24-hours, and we offer contractor-friendly services like free standard keying so you have the door hardware support you need. Get the materials you need to get the job done on time and on budget. Our bronze door hardware is made by top-of-the-line companies who stand behind their locks, fixtures, and accessories. Engineered for reliable operation and made from durable materials, they’ll give homeowners years of trouble-free operation and look great doing it. Unlike “budget” suppliers who carry cast-offs and substandard products, this is the same professional hardware you’ve been proud to use for years, just without the extra trips to the nearest supply store. Locks are our passion, and before we offer any dark bronze door hardware on our site, it has to be a proven high-quality fixture. If you need additional information about any of our products or want to talk to a specialist about a large or detailed order, contact us at (866) 755-5625 or online. Our customer service team is ready to help you get the materials you need to build the doors your homeowners and residents will be proud of. Finish out the doors on your project the right way. Order your bronze door hardware from Door Locks Direct now.